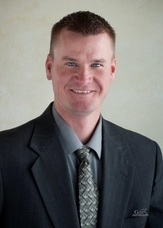 Chad recently joined the Agri-City team in January 2013. Prior to this, he was in the banking industry for 15 years. Chad has an ag business degree with UNL. He graduated from Leigh and currently resides in Creston with his wife Kristi and 5 children (all girls). He also keeps active on the farm with his families row crop and cow/calf operation. Chad is the past Chair of the Chamber Ag Business committee, past President of the Platte Valley Cattleman, current Board Member of the Leigh Golf Course and Chairman of the Creston Town Board. Chad enjoys being outside, spending time with family, golfing and Husker football.